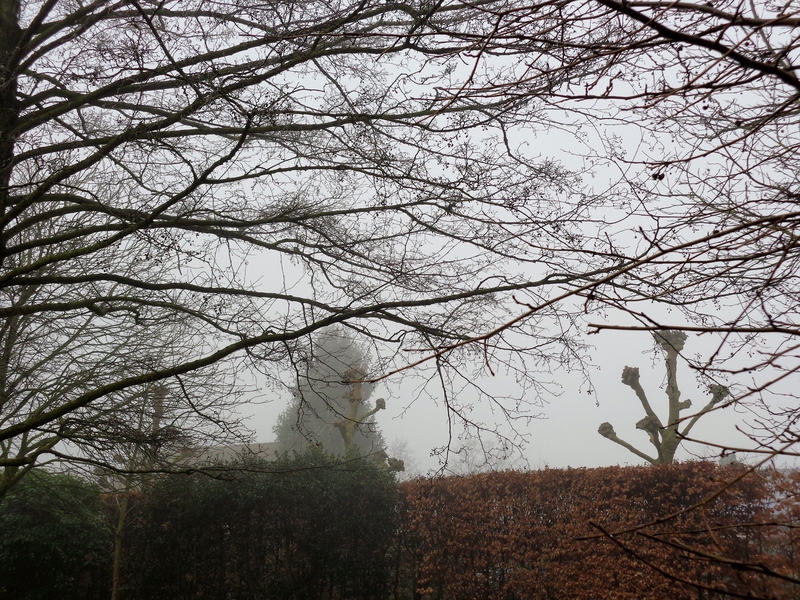 The mornings are hazy and cold. 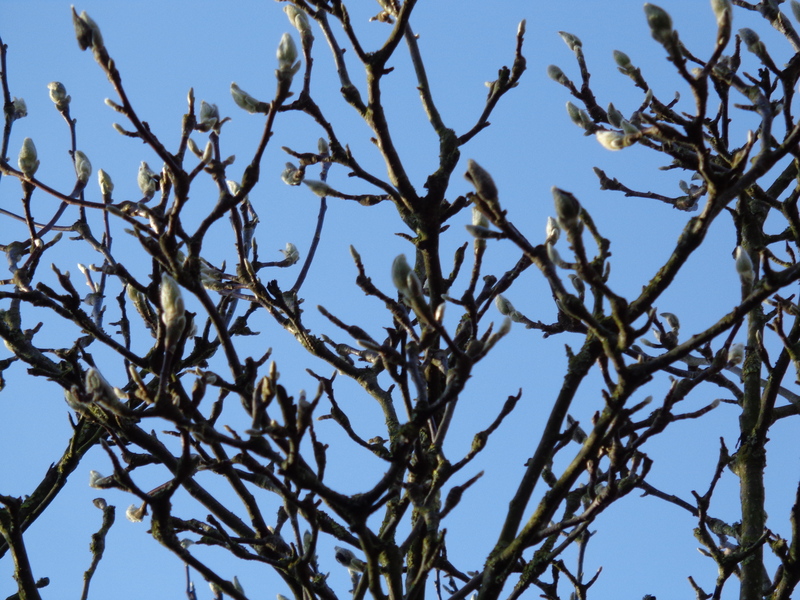 Then the sun comes out, carrying the promise of spring. There’s nothing like a day of warm sunshine to lift the spirits and to give you a sense of things to come. It definitely feels as if winter is turning. The light is changing and the days are lengthening. Spring is around the corner. Meanwhile, I’m knitting myself another pair of socks using Susan B. Anderson’s sock pattern. The yarn is Das Paar # 2208 by Schoppel Wolle which I got at Rosa Pomar’s lovely shop Retrosaria, a treasure cave for knitters and crafters. 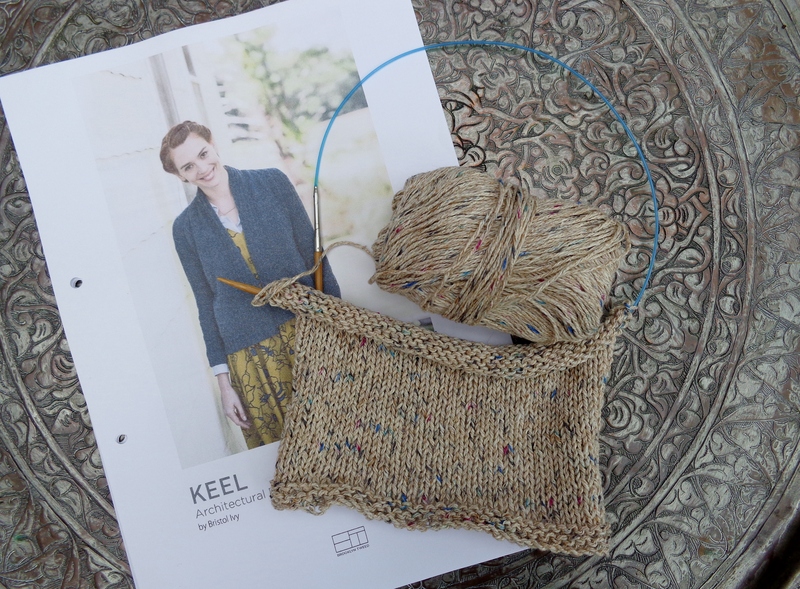 I’m also swatching for a Keel cardigan, a design by Bristol Ivy for Brooklyn Tweed’s Wool People Vol. 8. Looking forward to warmer days to come, I’m using Rowan’s Purelife revive, a fully recycled summer yarn, which has a beautiful rusticity and stitch definition. 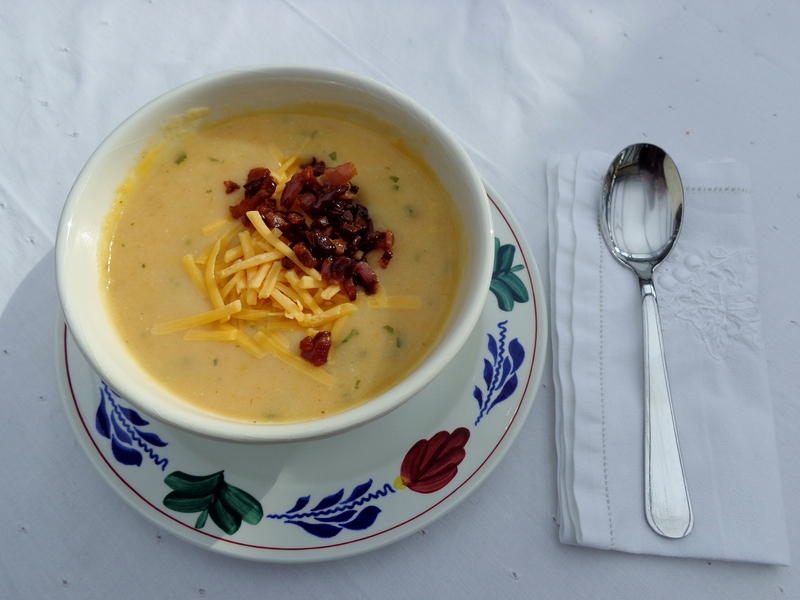 The recipe for the potato soup I had for lunch I found here. Delicious and absolutely soul warming! I wish you all a very good weekend! 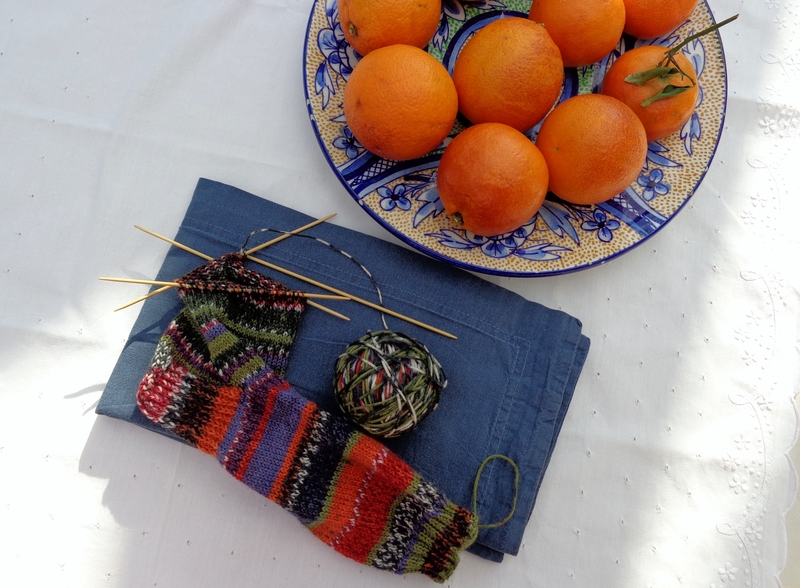 Hopefully with some sunshine and plenty of knitting. Wonderful post! Beautiful pictures and a very cozy feeling, I love it!! I’m very happy January and February are almost gone. And a little spark of spring is already looking around the corner, I love it! Have a wonderful day! !